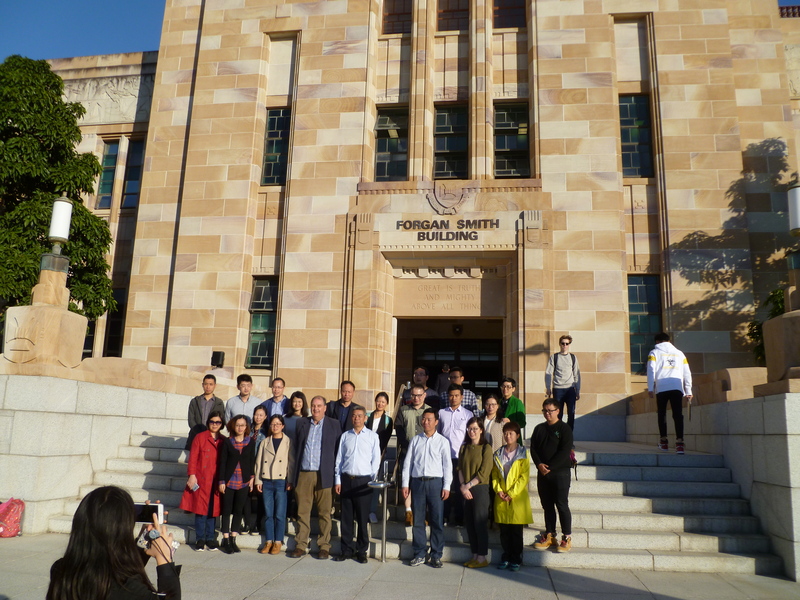 Earlier this month the New Ventures Australia Group was invited to host Vice Dean (Business, Tourism, IT, International Trade), Mr He from the Zhejiang Economic & Trade Polytechnic University in Hangzhou, China and a delegation of lectures to visit The University of Queensland (UQ) St Lucia campus and learn about innovation and commercialization in Queensland as well as how entrepreneurship and innovation skills are taught to students. 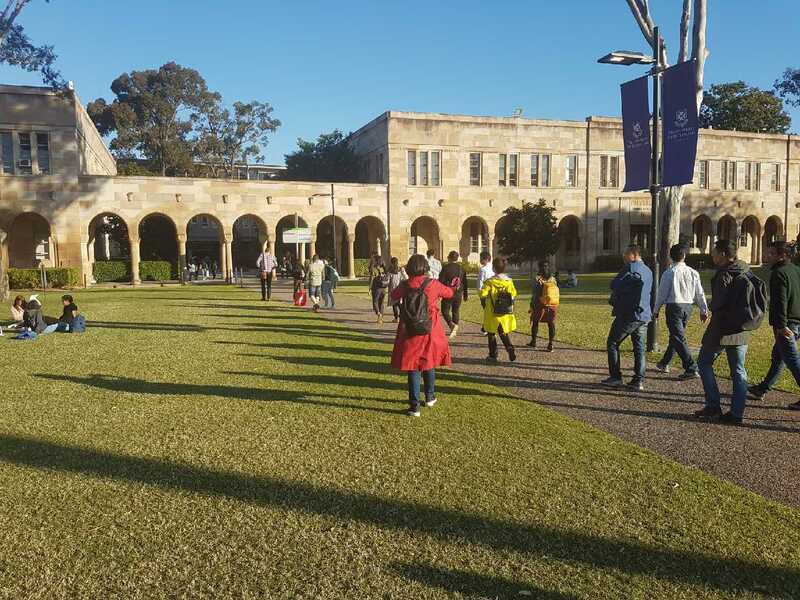 The delegation started their Australian visit in Sydney, attended educational workshops and tours of numerous New South Wales academic institutions ended the trip in Brisbane, with visits to Griffith University and The Queensland University of Technology before finishing at the St Lucia UQ campus. 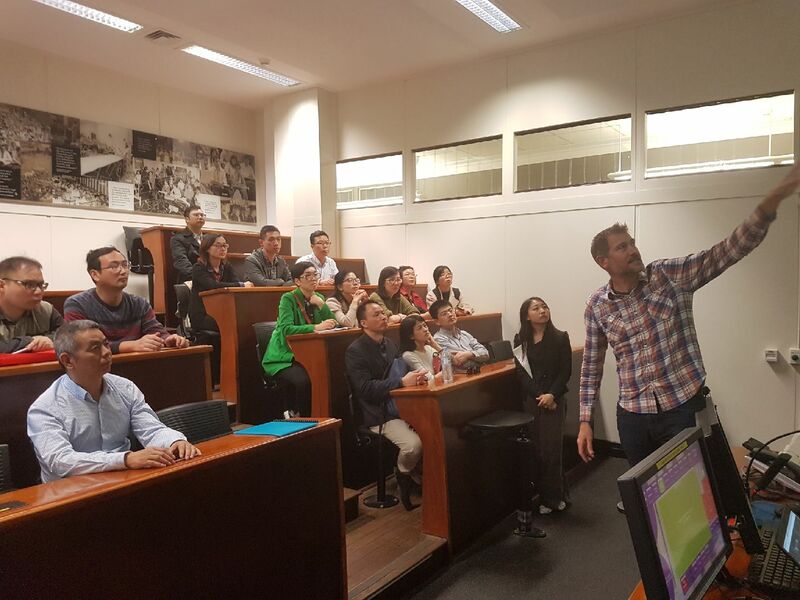 After a tour of The Great Court, Dr Cameron Turner presented a overview of the commercialization activities at UQ and invited the delegation to attend one of his entrepreneurship lectures to observe student interactions. Two of the class’s top Chinese students also shared their current projects and experiences with the delegates in Mandarin. Feedback from the delegation on the insights gained by the group from Dr Turners presentation was overwhelmingly positive with continued dialogue between the institution’s possible. Being Alumni’s of UQ the New Ventures Australia team is proud to be contributing towards UQ’s international relations and Australia’s too.